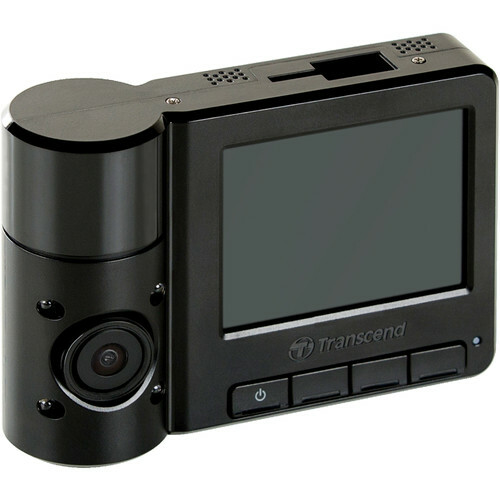 The Transcend DrivePro 520 Taxi Camera is the perfect surveillance tool for anyone that runs a taxi company or a driving service. This powerful camera records HD video on two lenses, one for the road and one for the interior of your car. You can protect your employees and your passengers from reckless drivers, and keep an eye out for any harassment claims or potential lawsuits. 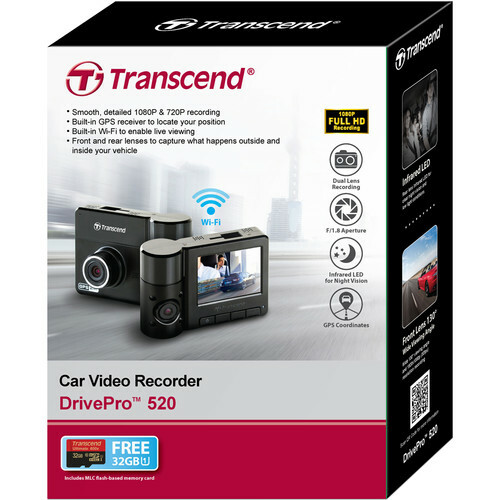 Stay safe inside the car and on the road with the Transcend DrivePro 520 Taxi Camera. The camera features two lenses, a fixed forward-facing lens and a rotatable lens for the inside of the car. The front lens records full 1080p HD video, capturing all of the important details on the road like license plates and street signs. The front lens features a 130-degree viewing angle, so you can see both sides of the road at once. You don’t have to worry about losing important details at the edges of the frame. The interior lens records full 720p HD video and audio, helping you see all of those crucial details like a person’s facial features. It comes with a 110-degree viewing angle that you can rotate up to 180 degrees. You can quickly swivel the lens to make sure that you have a full view of what’s happening inside the car. Both lenses feature infrared LEDs for full night-vision recording. You can see clearly in the dark inside the car and on the road. The camera will automatically switch to night-vision mode when daylight becomes scarce. 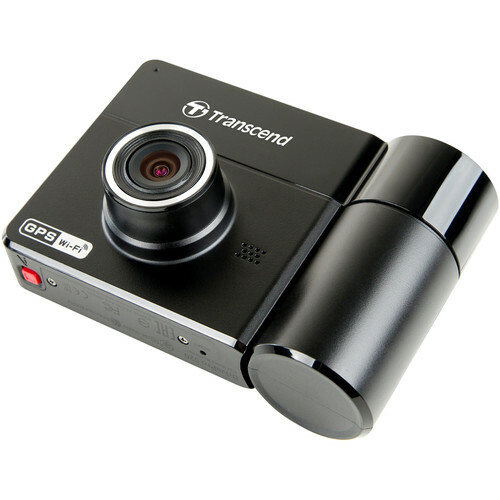 If something inappropriate happens inside the car or if your driver gets into an accident late at night, the camera will record all of the evidence. 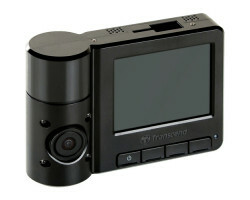 The Transcend DrivePro 520 Taxi Camera is a great choice when it comes to parking surveillance. If one of your drivers has to leave the car for a few minutes, they can leave the camera running after they turn off the engine. You can always protect your vehicle from hit-and-run drivers and vandalism. The camera also comes with a built-in Wi-Fi connection. Using the DrivePro app on your Apple or Android smartphone or tablet, you can view, download, and manage all of your videos online. If you own a ride-sharing business, you can keep an eye on your drivers in real time. 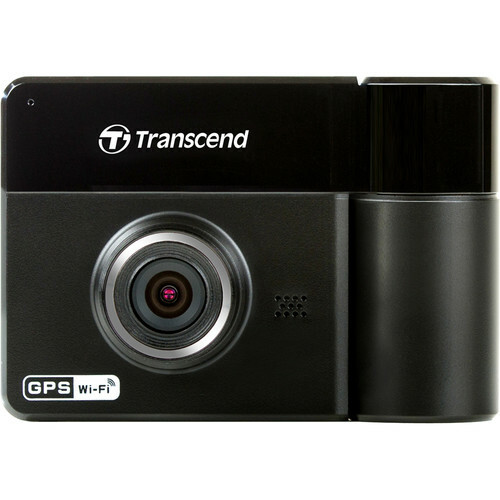 The Transcend DrivePro 520 Taxi Camera is also equipped with a GPS logger that records the location and speed of your vehicle. Just plug the camera into your computer using the included USB cable and you’ll see all the places the car has been and how fast it was going. You can use this information to clear your company’s name if one of your drivers gets involved in an accident that wasn’t their fault. 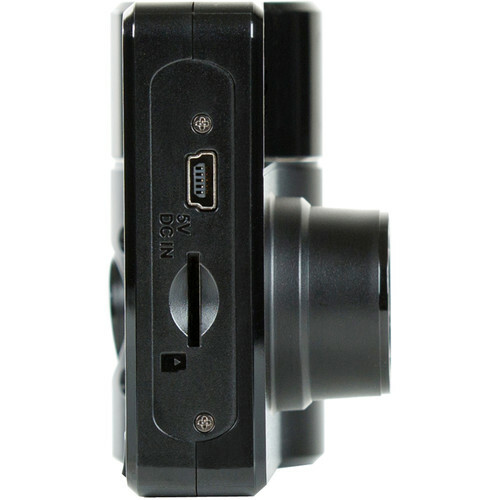 The camera has all of the features you’d expect from a high-quality dash camera. It comes with a 32GB memory card and a loop-recording feature, so you never have to worry about running out of storage space. It also has a built-in G-sensor that automatically protects your footage from being overwritten when an accident occurs. 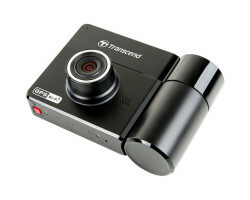 You can rest assured that the Transcend DrivePro 520 Taxi Camera always has you covered. 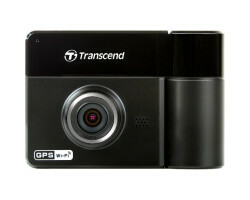 In all, this is simply the best dash camera on the market today for car service professionals. With HD forward-facing and interior surveillance, you can stay safe in every situation. 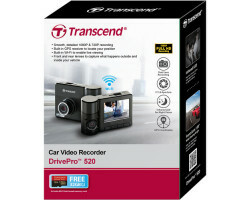 Protect your car and your business with the Transcend DrivePro 520 Taxi Camera. Box Dimensions (LxWxH): 7.2 x 5.5 x 2.6"